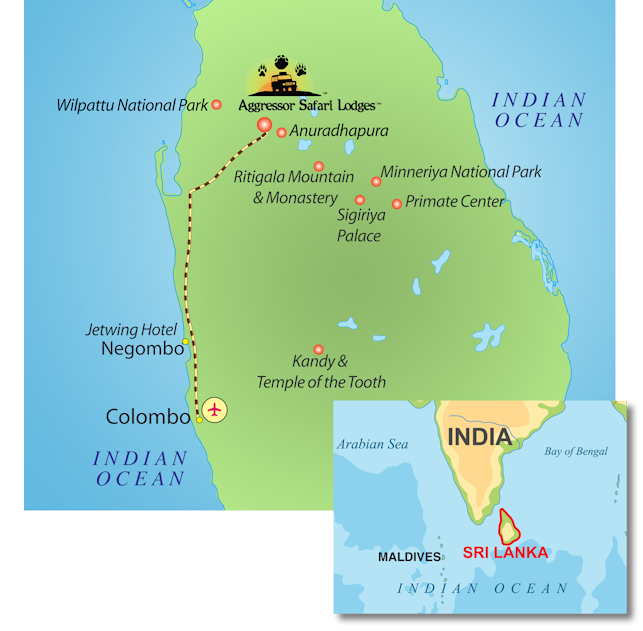 Aggressor Safari Lodge™, Sri Lanka! 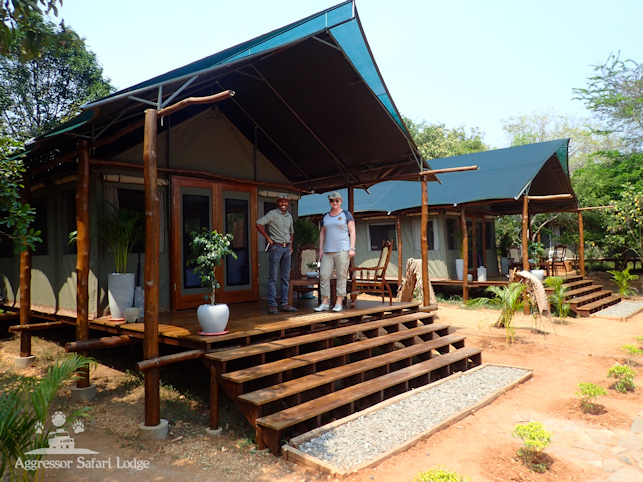 The Aggressor Safari Lodge™, Sri Lanka, is located in northern Sri Lanka at the edge of Wilpattu National Park, the largest National Park in the country. It is conveniently located just 30 minutes from the Ancient City of Anuradhapura, 45 minutes to Sigiriya Rock Palace National Heritage Site and 90 minutes from Minneriya National Park, which is home to the largest population of elephants on the island. The Aggressor Safari Lodge property is on six acres of land located on the Kala Oya River, which is the third longest river in Sri Lanka. 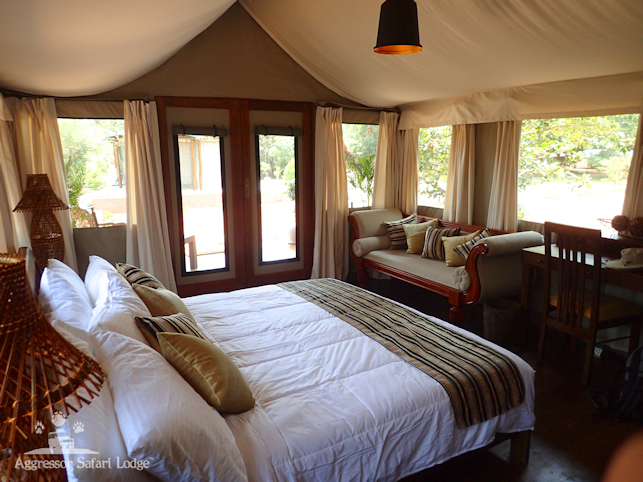 Our five-star tented lodge offers luxury accommodations and personalized service. Each tented chalet sits on a hard wood floor, has a private bathroom with a shower and bathtub, sink and a comfortable, memory foam mattress. 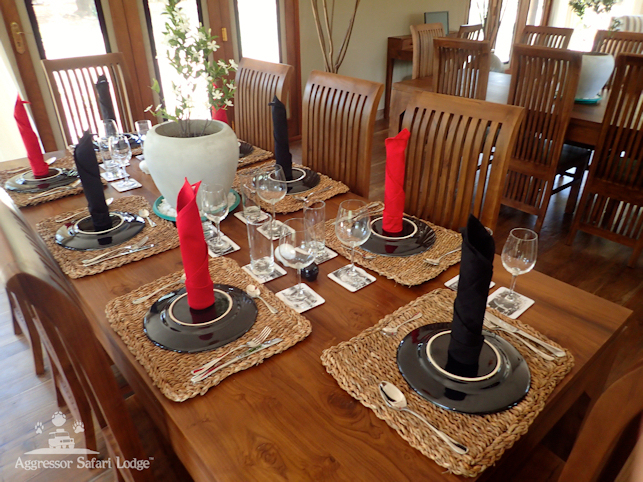 On the safari, guests will be given the opportunity to encounter the largest elephant herd on the island of Sri Lanka as well as leopards, sloth bears and other indigenous wild game. The property itself is home to a variety of wildlife including Mouse Deer, Star Tortoise, Sri Lankan Giant Squirrels, Red Slender Loris, Peacocks, and a host of exotic birds.